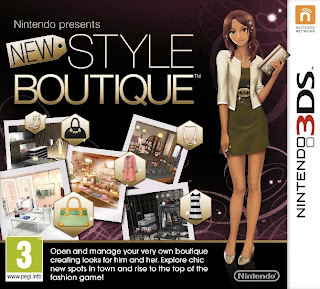 Earlier this week, Nintendo of America released for the 3DS the long-awaited (by yours truly, at least) sequel to its fashion-focused DS game, Style Savvy. In honor of that release, I decided to devote an entire "Which Box Art is Better?" post to it and its international counterparts. Japanese gamers got their hands on the title first (on Sept. 27), so let's start with it. 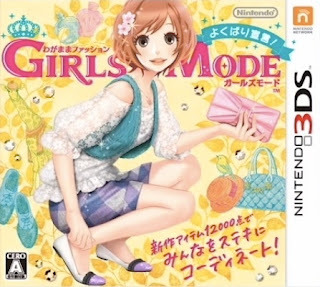 It's known as Wagamama Fashion Girls Mode Yokubari Sengen in its home market, by the way, and it sports a pleasantly colorful piece of cover art. 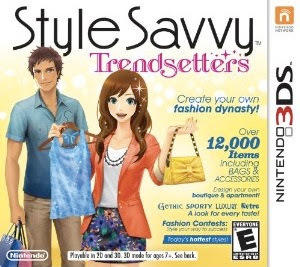 The box art created for the North American version, which is called Style Savvy: Trendsetters, on the other hand is decidedly less captivating. Those of you who have been paying attention likely have figured out that the Japanese box art is by far my favorite. Do you agree, or do you prefer the art that was created for its European or North American counterparts? I like the Japanese box for its fashion, but DAMN that head is SCARY on that body...it's like they decapitated the real model and put a generic anime head on it. CREEPY! So...since the European box art is ugly as sin, I'm going with the US art. It's a happy medium and at least features something that might make a guy think it COULD BE marketed to them. I couldn't really say, but then I guess that's because I don't understand this game. I've been trying to work out why its attracting so much attention? 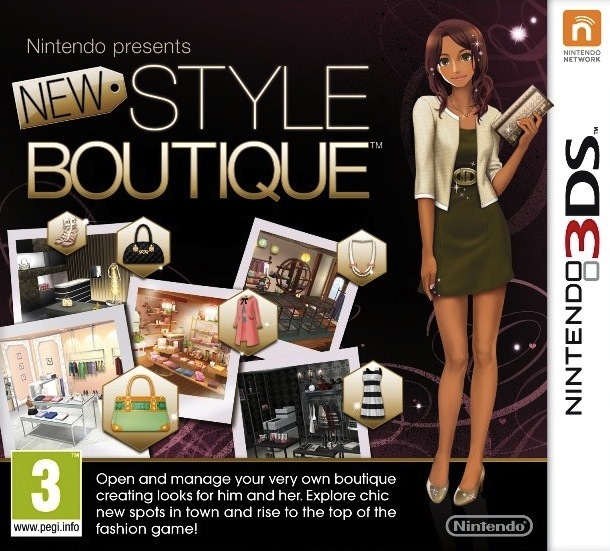 Diaglyph, I dunno why Bryan is interested personally but I like it because Style Savvy (the first) was a pretty cool game! It's not some sort of banal "Imagine" line game but one that actually had a good deal of effort put into it. Besides, fashion can be fun for everyone :). Just depends on your personal tastes. Ha! I hear ya, Justin. Still, I like the JP art the best by far! You and me both, Adam! Igor: There's more to this game than dressing up girls -- or so I've been told. There's almost a puzzle element to it, plus a store management aspect. That's enough for me, so I'm definitely giving it a go -- as soon as my copy arrives! I see what you mean, Marcus, and agree with you to a point! The Japanese one is leagues better, but I can't help but wonder why she looks like she's bending over to pick something up with one hand, but then it looks like she just picked up her purse in with the other hand?! I know that's not at all what they were going for, but that's what I think every time I see it. Just what is she doing?! Yeah, the overall structure of it is a bit odd, I guess, Anne. Maybe they were just trying to cram her in there? Regardless, I still think that JP cover is the best -- by a long shot!